With less than two days left until Election Day, FBI Director James Comey has thrown one more twist into the 2016 presidential campaign. In a letter sent to Congress on Sunday, Comey said the FBI had found no reason to change its initial decision of not filing charges against Hillary Clinton for her use of a private email server. But with millions of ballots already cast, how will Comey's latest revelation impact the presidential election? There has been some debate as to what effect — if any — Comey's letters have had on the presidential election since he first notified Congress on Oct. 28 of the FBI's discovery of new emails potentially pertinent to the FBI's closed investigation into Clinton's server. More than 650,000 emails were reportedly uncovered during an unrelated investigation into former congressman Anthony Weiner. The Los Angeles Times has since reported that almost all of the emails discovered on Weiner's computer were duplicates of emails already reviewed or personal. Aside from occupying airspace and headlines, Comey's latest letter may stand to have little effect on the presidential election for two reasons. By Nov. 4, at least 37 million ballots had already been cast in the 2016 presidential election, which means millions of voters had already voted before Comey's decision not to change the FBI's initial conclusion regarding Clinton's use of a private email server became public. Granted, millions more voters will head to the polls to vote Nov. 8, but will the findings of the FBI's "around the clock" email review impact their vote? To suss out the potential effect of Comey's most recent revelation, I think it's important to look at the impact his Oct. 28 letter had. Two days after Comey notified Congress that he'd asked his staff to review newly discovered emails an ABC News/Washington Post poll found 63 percent of voters said the news made no difference to their vote. The results of a Politico/Morning Consult poll also conducted in the days following Comey's first announcement showed similar findings. Clinton held a three-point lead over Republican nominee Donald Trump with "the small pocket of undecided voters" nearly split on whether the new review of emails would influence their vote. Forty-one percent said it made no difference, compared to 42 percent who said it made them less likely to vote for Clinton. A poll of Wisconsin voters conducted by Marquette University before and after the discovery of new emails showed the news had a limited long-term effect on voters. While the number of voters who reported being "bothered a lot" by Clinton's emails jumped from 50 to 60 percent after the FBI's news broke Oct. 28, that number had dropped to 48 percent by Oct. 31. While news the FBI was reviewing newly discovered emails related to Clinton's use of a private email server certainly helped to reinvigorate Trump's campaign in the final week of the election, its impact on voters and the election at large seems less certain. Neither Trump supporters nor third-party voters unconvinced of Clinton's general trustworthiness are not likely to view the FBI's decision to uphold its initial recommendation of not pressing charges against Clinton as reason to change their vote, just as most Clinton supporters didn't take news of the review as reason enough to ditch their candidate at the last minute. 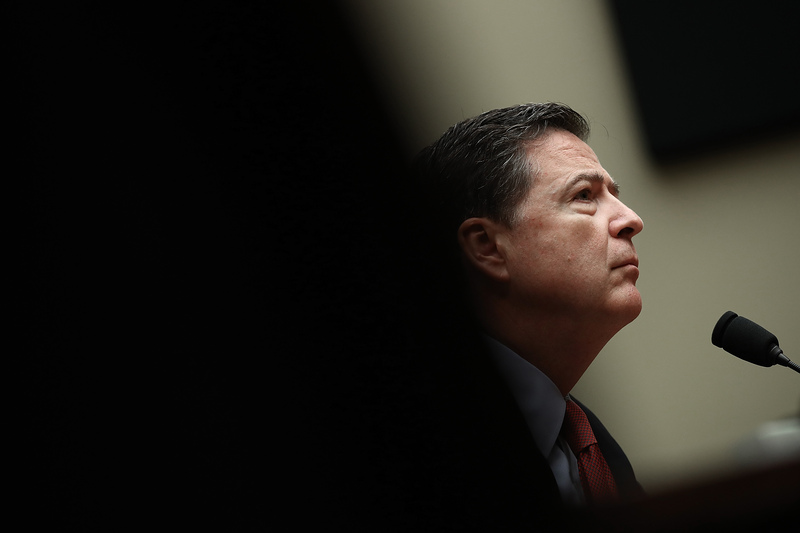 The Comey Effect, if it is real, will likely be felt in battleground states where polls remain tight and still undecided voters could swing the vote.